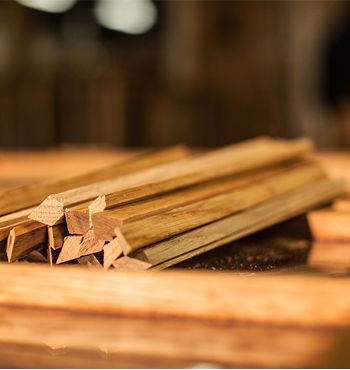 Venables Oak has been closely involved in the selection and processing of European hardwoods for many years. Customers include everyone from contract furnishing companies serving leisure industries to timber frame building specialists. The secret of Venables’ success is our thorough knowledge of wood and our ability to turn round orders within five days if necessary, eliminating the need for customers to hold stock. There is a sawn-to-size service for machined components which can be machined to any level of detail specified. This service offers a piece part price, thus removing the uncertainty of wastage factors. Quotes can be supplied against any cutting list. Standard availability for sawn-to-size orders and machined sections is 10-15 working days from receipt of order. Download our Machined Components Information PDF so that you have the information you need at hand.